Malay food is one of my favourite cuisines, with Malaysia being one of my most memorable holiday destinations. Everyone should have Borneo on their holiday bucket list – beguilingly beautiful place, with food to die for and amazing wildlife (adorable orangatans, fat bellied and big nosed probosis monkeys and, on the downside, mosquitos the size of microlights and spiders bigger than in my worst nightmares – “Eight Legged Freaks“, glad I was wearing khaki trousers, territory). One of the most enjoyable meals of my life was in the unlikely setting of the top floor of a multi – storey carpark in Kuching, Sarawak (the Malayasian part of Borneo is made up of the states of Sabah and Sarawak – the rest of that massive island is Indonesia bar from a tiny spot that is Brunei) in a place called the Top Spot Food Court (can still taste the black pepper prawns had there- God they were good). 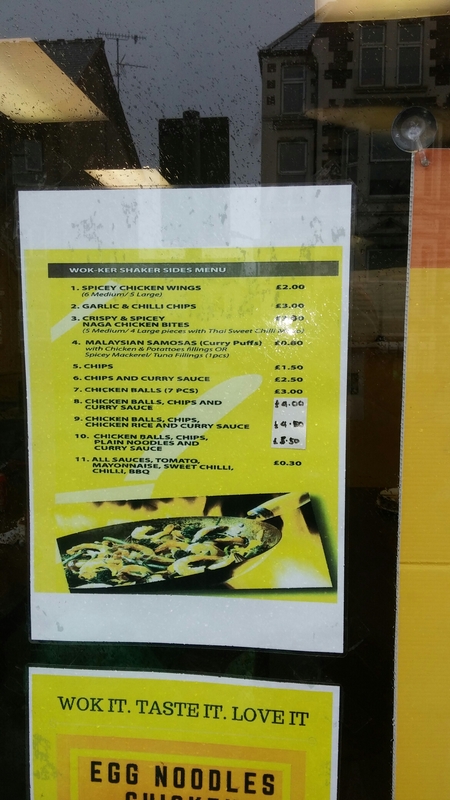 This love of Malaysian food brings me to the rather less than salubrious setting of Tudor Road, Cardiff and Wok – ker Shaker, a hole in the wall Malaysian joint located there. Deceptively close to town (just over the river from the rugby stadium – 5 mins walk from St Mary St.), it was chosen as the venue for lunch with the usual chaps from work (majority decision, with one dissenting voice who them dibbed out, after I suggested it). Functional is probably the best description of this place’s decor. Two long (sitting 4 each side at a real squeeze) tables with three benches make up the very compact dining area (12 people absolute max.). Externally it doesn’t exactly draw you in and inside it truly is a no frills gaff. It reminds me of places in Little India in Kuala Lumpar, which look a bit (sometimes very) ropey on the outside and very basic on the inside but are in fact little gems that offer good food at bargain prices. It is the sort of place you walk past without giving it a second glance, but reports I have heard about the place indicated it was more than worth further investigation. 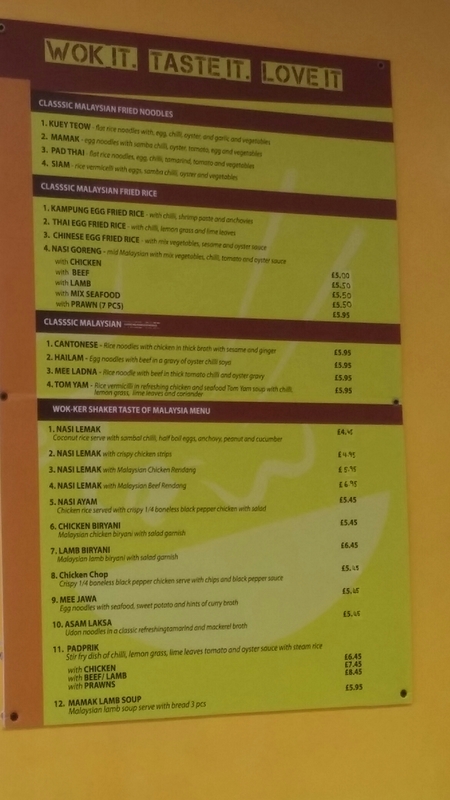 The menu offers a good selection of Malay classics. Nasi lemak is probably Malaysia’s national dish and a lunch time staple as popular there as sandwiches are in the UK and is of course on the menu, as are other classics of Malaysian cusine such as asam laksa, nasi goreng, kuey teow, rendang and fried chicken (with, in the case of the latter, copious quantities of pepper added to the mix – reflecting the fact that Malaysia produces a lot of pepper, especially in Sarawak). 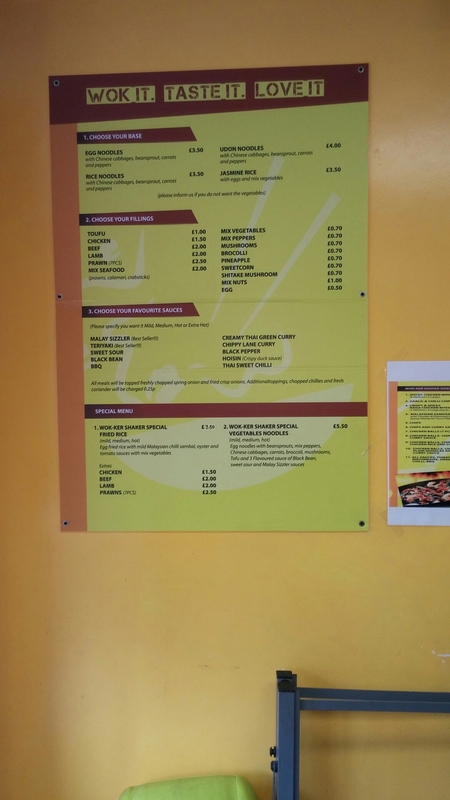 Some notable absentees from the menu are roti canai (classic breakfast dish in Malayasia) and satay (you can smell these cooking over charcoal everywhere in Malaysia). It is a small place so perhaps unsurprising that they don’t cover all bases of what is a very diverse cuisine. I went for nasi lemak, a favourite of mine. 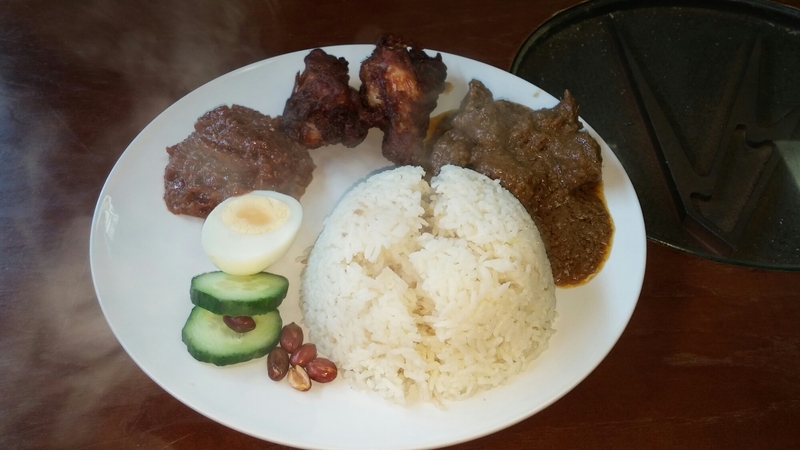 The basic nasi lemak (£4.45) here comprises of coconut rice, a sambal (spicy sauce), half a hard boiled egg, cucumber, dried anchovies (ikan bilis), peanuts and chicken wings. l, further, jazzed mine up by adding a portion of beef rendang (lifting the price to £6.95). Very generous portion, with well cooked coconut milk (not sure if the traditional pandan leaf had been added to the mix) infused rice, a very pleasant and nicely spiced (rather than seriously chilli hot) sambal, refreshing cucumber, a few peanuts (more would have been nice) and a decent (not over cooked) half boiled egg. A very acceptable nasi lemak, with the exception of some missing ikan bilis which I am rather partial to (shame that). The addition of two lovely fried chicken wings somewhat compensated for the missing anchovies. Decent size on them and cooked perfectly, so the tender meat came away from the bone easily, with a nice crisp spicy exterior. The beef rendang I added to the dish was heady with coconut, ginger and garlic. Spicy rather than hot it had a great flavour, although some of the meat was not fall apart tender (as is usual with the low and slow cooking process of a rendang). All in all a well flavoured and a very nicely priced dish at £6.95. I was quite full when I finished it and didn’t feel the need to eat much for dinner that night. 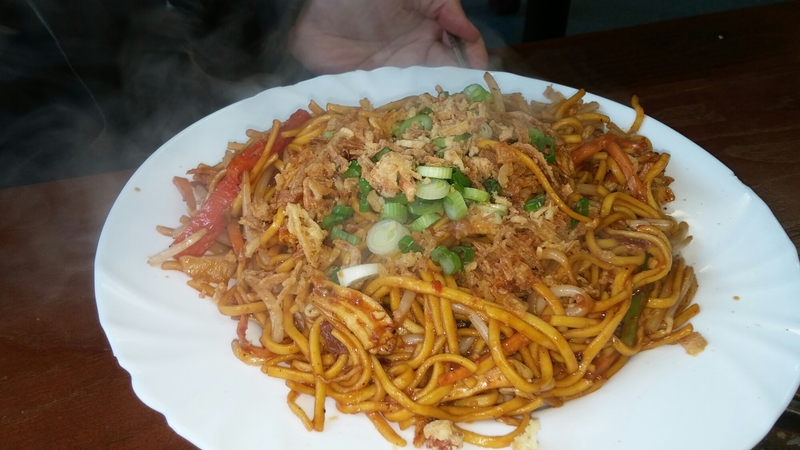 In addition to the Malayasian classics, there is on offer mix and match fried rice and noodle dishes. Despite my heavy hinting that they should go for one of the Malaysian classic dishes, along the lines of the “kuey teow sounds really nice and why don’t one of you try the mamak lamb soup – I think that sounds great”, the two chaps from work who came with me ignored my hints and ordered off this part of the menu. 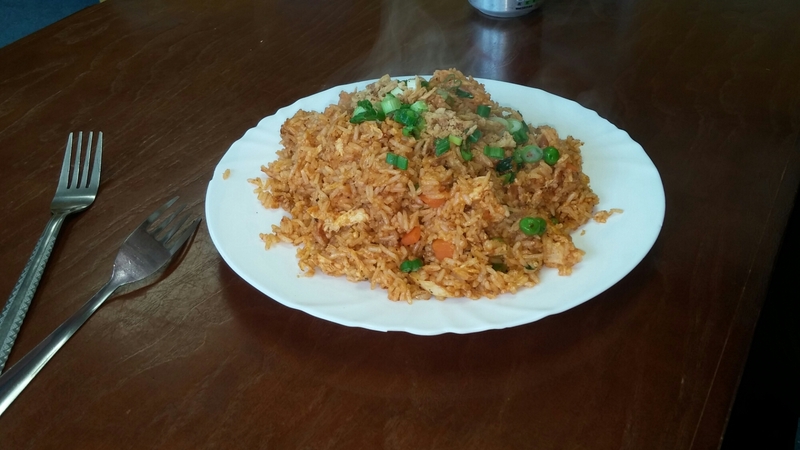 The other dish ordered was the wok- ker shaker special fried rice (£3.50 + £1.50 if chicken is added – it was). Again this got a thumbs up both on the flavour and portion size front. The chap who ordered it was defeated by the generous portion size and said he would have been happy with or without the addition of the extra chicken. So, as with the noodles, this rice dish could provide a filling and tasty meal for a mere £3.50. 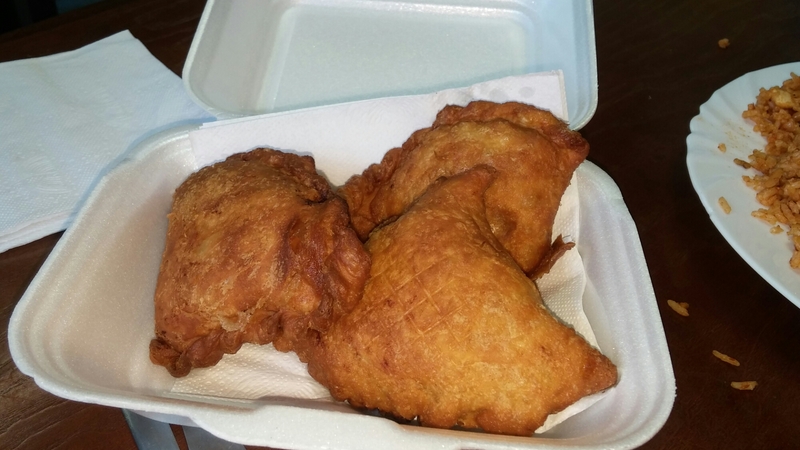 There are a number of side that can be ordered and I had heard tell that the curry puffs (80p each) were rather good. Great value for the 80p each price tag..
As well as eat in they do takeaway. Drinks are all soft or hot, with the usual soda suspects on display. In addition, they do Malaysian tea (teh tarik) and coffee (their take, I assume, on a Ipoh white coffee). Made using condensed milk, I am quite partial to the spicy and sweet teas and coffees that Malaysians drink. Be warned though, their extreme levels of sweetness may come as a shock to newbies. This stuff is seriously sweet. I mean “book a visit to the dentist immediately” sweet. The tek tarik is really sweet, but the coffee takes it to a whole new level of sugariness. This stuff could quite possible make Jamie Oliver explode and if the “sugar tax” applied to it one cup of it could well wipe out the UK’s structural deficit!! 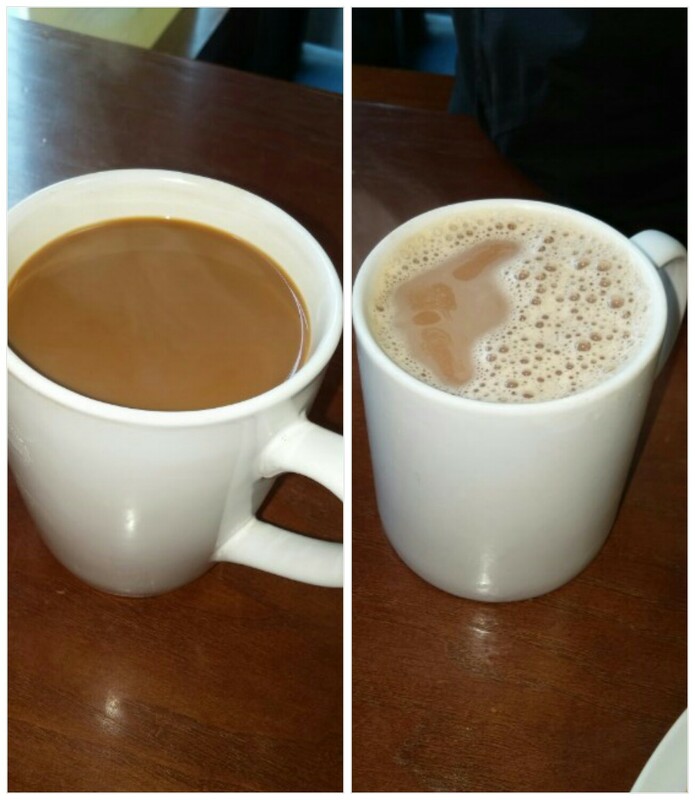 My friend’s view, on me saying that my Malaysian coffee was an acquired taste, was I may well be acquiring type 2 diabetes if I drank much more of it! I quite liked it, but have probably had my recommended sugar intake up until 2037. 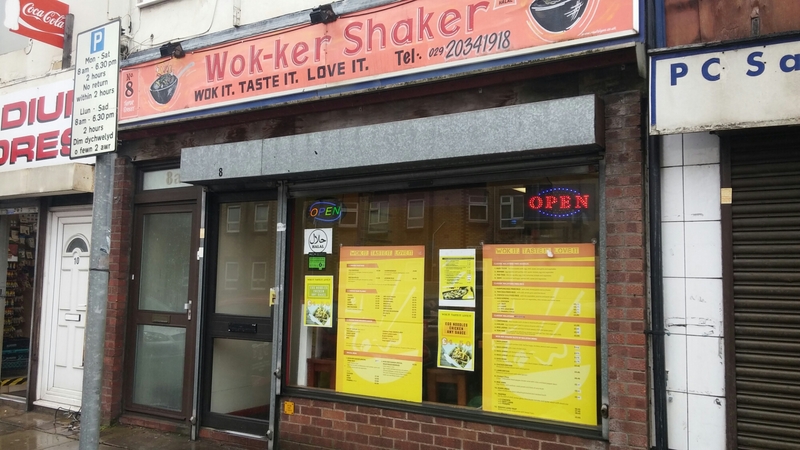 Despite a somewhat unwelcoming exterior and let’s face it pretty utilitarian interior, the food at Wok- Ker Shaker does all the talking. I have said on many occasions that I am not that fussed about what a place looks like as long as the food is good (and they let me in looking like I do) and this place is a perfect example of not judging a book by it’s (rather dog earred) cover. The food here is plentiful, cheap and above all very tasty. It ain’t pretty, inside or out, but the food is pretty darn good so who cares. Worth looking out on Wriggle for offers on this place. Makes what is already great value even better. Would I go back? 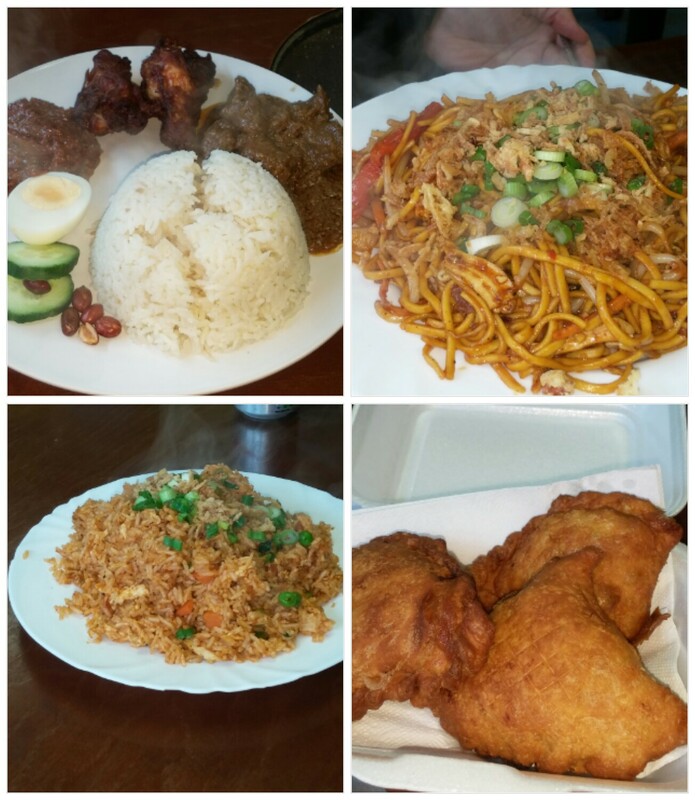 Definitely – really good food at very wallet friendly prices. Deceptively close to town it makes for a lovely, off the beaten track, great value lunch. Opening hours: Tues – Thurs: 12.oo 23.oo, Friday : 13.00- 23.00; Sat – Sun: 12.oo – 23.00; Mon: closed. 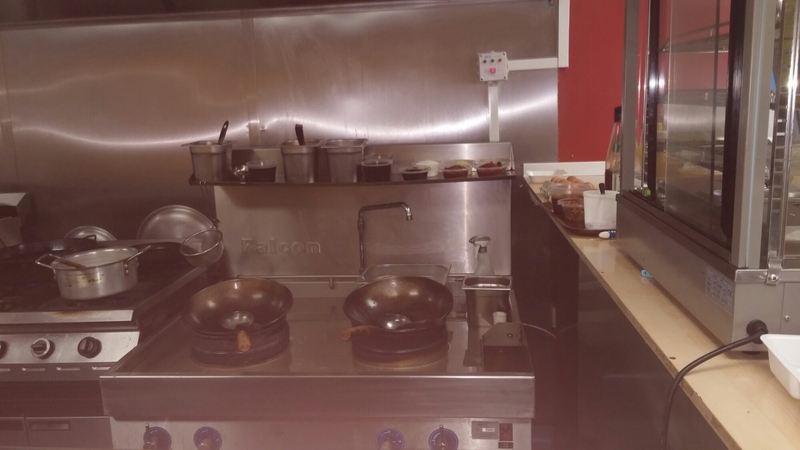 This entry was posted on Mar 5, 2017 by solicitingflavours in Cafe, Cardiff, Cardiff restaurant, Chilli, coffee, Fast food, Food, Fried chicken, fried rice, Malaysian food, noodles, Restaurant Review, review, seafood, Take away, Takeaway, Tea, Wales, Wok-ker Shaker.